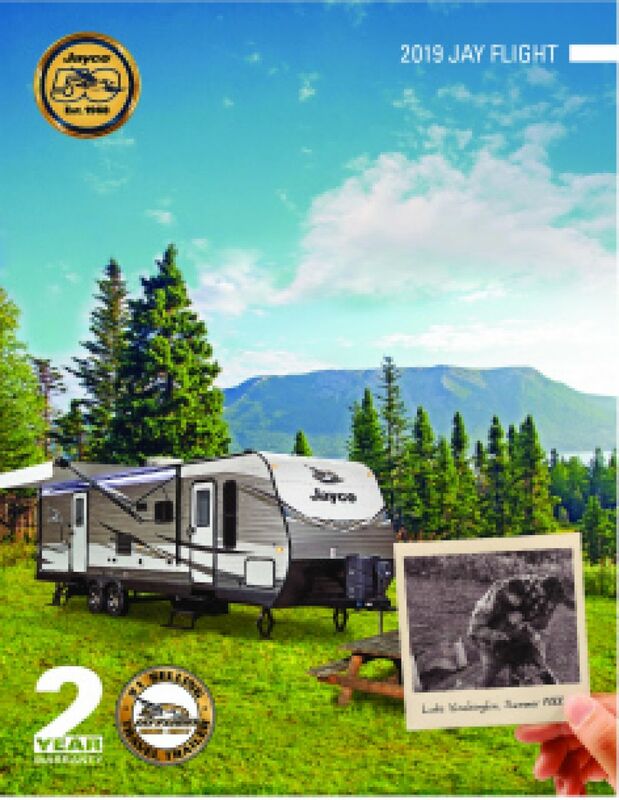 Roam around the country in style with the 2019 Jayco Jay Flight SLX 245RLS! This Travel Trailer is ready for the road! All of the RVs at Hamiltons RV are affordably priced and ready to take on the road! Come on down to 1580 Tittabawassee Saginaw Michigan 48604 to learn more about this model, or call us at 989-752-6262. Hit the road in style in this 28' 1" long, 8' 0" wide, Travel Trailer! It has a GVWR of 7000 lbs. and a hitch weight of 545 lbs. The 16' 0" patio awning provides outdoor shade and comfort! The 2019 Jay Flight SLX 245RLS will feel like a real home away from home with all the living space inside! It has 1 slides to maximize the interior room, along with its 28' 1" length and 8' 0" width! When the weather turns cold, the efficient 20000 BTU furnace will keep everyone toasty and warm, while the modern 13500 BTU a/c unit will keep everyone cool and comfy on those sizzling hot summer days and nights! Breakfast, lunch, dinner, hot snacks? You'll whip up delicious meals anytime in the Jay Flight SLX 245RLS thanks to the beautiful, modern kitchen! Store fresh foods in the 6.00 cu. ft. refrigerator and cook them up on the 3 burner range! And there's plenty of water for drinking, cooking, and cleaning in the 38 gallon freshwater tank! Sometimes when you're on the road, a nice, hot shower is hard to come by. Not anymore! 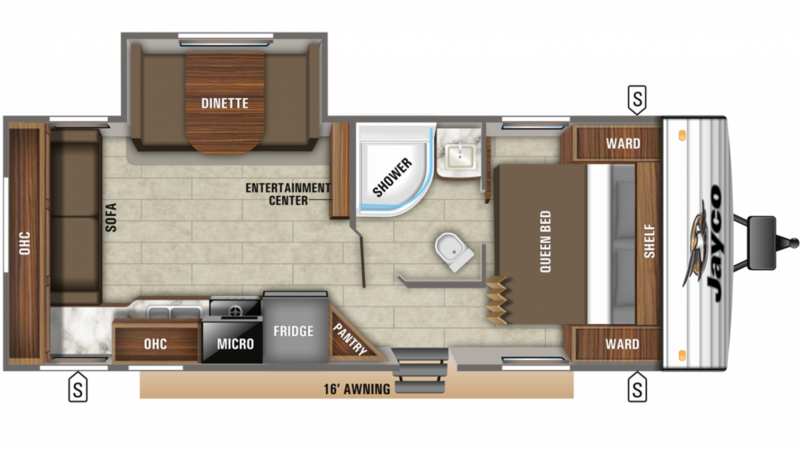 This 2019 Jayco Jay Flight SLX 245RLS includes a full bathroom with a roomy shower and convenient Marine Foot Flush toilet. No more muddy treks to and from the campground communal bathroom! And the big 38 gallon fresh water tank together with the big LP tank of 40 lbs. means lots of hot water for everyone! There is a 39 gallon black water tank and a 39 gallon gray water tank in this RV.